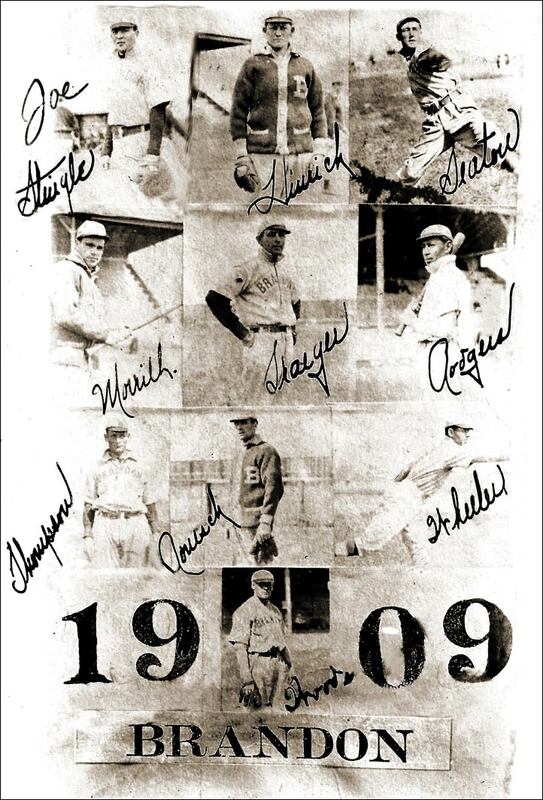 In 1909, Brandon featured this composite, with signatures (although they appear to have been done by the same hand). Top row - Joe Stingle C, Henry Hinrichs lefty pitcher, Joe Seaton P/OF. Middle - Ray Morrell P/OF, Charles Traeger MGR/OF, Jack Rogers SS/3B/OF Third row - Cecil Thompson 1B, Jerry Ronesch UT, Wheeler UT. Bottom - Monte Woods LHP/OF. Below, also from the David Eskenazi collection, this photo of the Brandon club, believed to be of the 1909 squad. 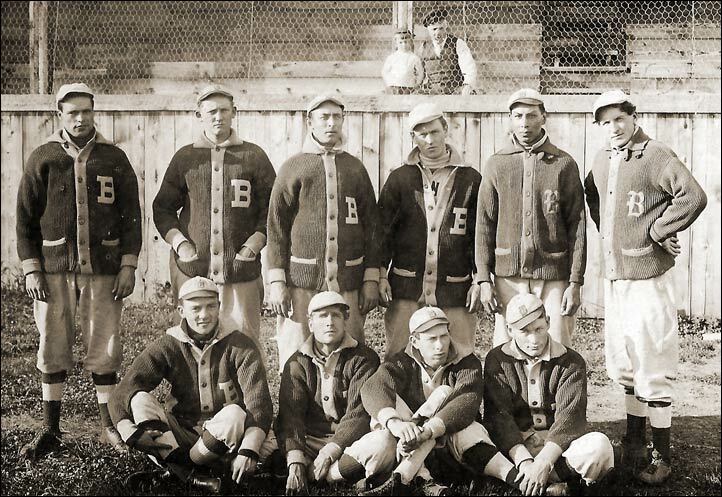 Henry Hinrichs is in the back row, second from the left, and the player third from the left is likely Charles Traeger. Both were with the Brandon team in 1909-10-11. The photo which appears to pin this down to 1909 is in the back row, beside Hinrichs. We believe that is Ray Morrell, who played only in 1909 with Brandon. And, back row, second from the right, appears to be Jack Rogers, who also played just in 1909.